In the coffee-growing community of La Paz, it is common for women to be less educated than men. The Unión Proagro would like to teach women techniques for growing quality coffee to improve their skillset allowing them to be knowledgeable contributors. Currently, women are the agricultural producers of the the coffee beans but many do not have an understanding of the quality control that is required for the exporting of coffee. Quality control workshops will teach techniques for perparing, grinding, toasting, and tasting coffee before export. In the coffee-growing community of La Paz, it is common for women to be less educated than men. The Unión Proagro would like to teach women techniques for growing quality coffee to improve their skillset allowing them to be knowledgeable contributors. This workshop would focus on the coffee product and other products that are obtained from coffee. Coffee will be toasted, grinded, and roasted to learn the various characteristics of the product. Each participant will receive a portion of the products to take home to their families. For the women of Colombia, the family meals are prepared in unsanitary and unsafe conditions. Food is being prepared over open fires that cause respiratory illnesses for the women and small children. This grant will repair or replace kitchens to imprve health for six families. The kitchens will include stoves that vent to the outside, water plumbed to the inside, and work surfaces providing better sanitary conditions. They will be built with sustainable materials and the project will also serve as a sustainable construction training program for young people. All labor will be provided by the family as well as a portion of the investment in material costs. Funded by Organic Products Trading Co and Coffee Holding Co.
Coffee rust and other coffee plant diseases have had an impact on the women's coffee production and ultimately their income. Funding this grant would purchase 15,125 Catuai coffee shrubs, organic fertilizer and compost renewing 55 plots of women's coffee, generate a better quality of product with the renewal of the Catuai variety coffee and improve the overall quality of life for 55 women and their families. Coffee rust has significantly affected coffee production and quality of coffee for this small farm coffee producer directly impacting their income and has, in some cases, resulted in the abandonment of the crops and forced them to move. There are 120,000 small farm coffee producers, both women and men, dependent of coffee as their primary income source. Funding this grant will provide resouces needed for the biofactories, seeds and rust resistant plands needed for renewal and replanting, as well as solid organic fertilizer. This grant will directly impact 76 women coffee producers within FECCEG and indirectly benefit the 375 members of the families of the women. The overall goals are to strengthen the capacity of the produces through the development of training processes in production of efficient organic inputs for the prevention, control and management of pests and diseases; improve the production of organic certified coffee through the renewal and replanting of the more pest resistant coffee; reduce the risk of coffee rust and other diseases through the use of organic fertilizers made in the communities biofactories; improve the biofactories performance and capabilites by the biofactories inputs. The community library has been an immediate source for children at primary and secondary levels of school. The Child Aid Institution together with the Nahualá Cooperative have funded the provision of books as well as reading and writing programs in participation with local schools. Since 2007, funding for these important programs has become increasing difficult to provide. With support of this project, the community library will be able to continue providing quality education programs for children and their families. For all children in the Tupac Amaru region drinking water comes directly from the river. Children commonly have digestive and respiratory diseases, as well as parasites, that affect their growth and development. 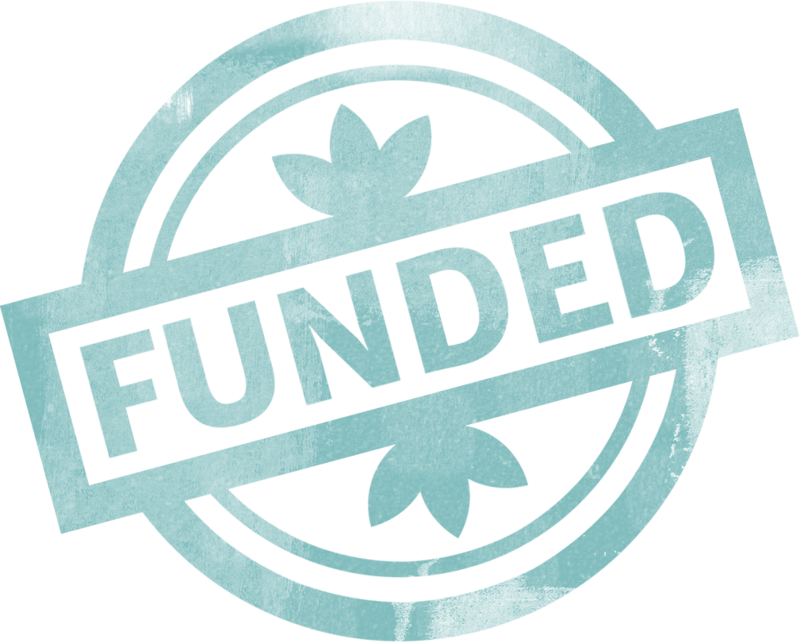 This grant request is to supply and install a water purification system in each of 10 early education centers funded by the Cafe Femenino Foundation. These funds will also provide trainings for the families on the importance of clean water and for the maintenance of the water purification system. This project will benefit 2100 people in the 10 communities involved in this project in the Tupac Amaru region. With the goal of improving the quality of the coffee, as well as the lives and income of the women in the coffee-growing community this grant will install 3 cement tanks and 3 drying patios benefiting six producers the first year; 9 the second year, increasing to 22 the fifth year. With the goal of improving the quality of the coffee, as well as the lives and income of the women in the coffee-growing community, this grant will install 2 cement tanks and 2 drying patios benefiting 4 producers the first year; 6 the second year, increasing to 12 the fifth year. To help address the serious problem of malnutrition's many form: nutrient deficiency, delayed growth, overweight, obesity, etc., this project will consist of two workshops: 1) Sustainable Agriculture and Food Safety; 2) Production and Consumption of Good, Clean and Fresh Food. Workshops and activities will contribute to raising awareness of the importance of preparing and consuming healthy foods rather than processed foods. It will include: Three (3) contests featuring best dishes with food grown in the communities; Three (3) Food Fairs selling foods grown in the communities. This project will conclude with 15 new trainers being avaliable to share the message about food security in other communities. This community center has been used for training meetings and coffee producer meetings, as well as a place for the 45 women to gather to discuss topics of interest to them and set goals for the future. It is also home to the soup kitchens and glass of milk committee. The center was seriously damaged by the rains in early 2017 and is no longer safe to use and is in desperate need of repair. These funds would provide for the cement, plaster, paint, 8 tables and 30 chairs, toilet facilities, a door and a bed. Work would be completed in 2018. The children in rural Peru are severly malnurished, this grant provides funds needed to educate the teachers, parents and students on food nutritional value and how to incorporate the foods into their daily diet with the goal of reducing malnutrition in the rural coffee producing communties in Peru. This is year five of this program. Each year the impact is measured by a visiting nurse taking, and recording, the height and weight of the students ages 3-5 three times per year. In total, 390 students in 17 rural early education centers will participate in year five of this program. The cirruclum for the early education center students also include personal hygiene and dental care. Funds will cover the cost of the traveling nurse three times a year, as well as materials needed for the early education centers such as toothbrushes, toothpaste, soap, washclothes, crayons, books, paper, glue, lunch boxes, mats for the floor where the children sit and play for each education center. The production of vegetables is scarce due to the presence of rain, as well as pests and disease. The community greenhouse with an irrigation system will allow the community to plant and produce new and more diverse crops. This grant will cover the cost of materials for the greenhouse and irrigation system, the technical advisor, materials and food for the workshop. There are 50 families in the community of Villarumi who will benefit from the nutritious vegetables produced in this new community greenhouse. This area has been hit with many challenges. Climate change and reduced rain/water is causing more disease resulting in a decrease coffee production and the coffee to be smaller and not making the coffee as marketable and significantly impacting the families income. In an attempt to overcome the reduced income they are requesting assistance to generate a second income by the cultivation of cacao on the lower areas of their farms. The producers would have two products to offer in the market: coffee in the high areas and cacao in the lower areas. Funding would provide workshops to cover all aspects of cacao farming, such as: propagation of the cacao seedlings; planting seedlings in field; composting of the farm; pest and disease control; management of pruning; management of the cultivation of cacao, management of post harvest of cacao; and, benefit of the cacao infrastructure design. This pilot project will provide 05 hectres of cacao with the participation of 10 women from the community of Virgen de Fatima; a total 50 producers will be trained in all aspects of the cultivation of cacao as a secondary crop to coffee. If this pilot project is successful it will be replicated in other communities facing the same problem. The Cafe Femenino Foundation's "A Coffee Child's Christmas" is an annual program aiming to truly make it a Feliz Navidad for the children in remote coffee communities. The children receive hot chocolate, Christmas bread and books for their school. Children in colder regions also receive "poleras" (sweatshirts) to keep them warm and help prevent illness.While it seems like so little to us, we can see by the shy smiles on their faces that it brings tremendous joy! The Café Femenino Foundation is helping to raise emergency funds to provide food packages to the women of Café Femenino and their families in ASPAPE (community of Penachi) and ASPROAGRO (community of Kanaris). The cost of each food package is approximately $25. In order to deliver food packages to all 615 families, $15,000 is needed. The purpose of this project is to improve the quality of coffee by improving the infrastructure for drying of the coffee beans during the wet season to prevent any possible fermenting, and weathered defects.